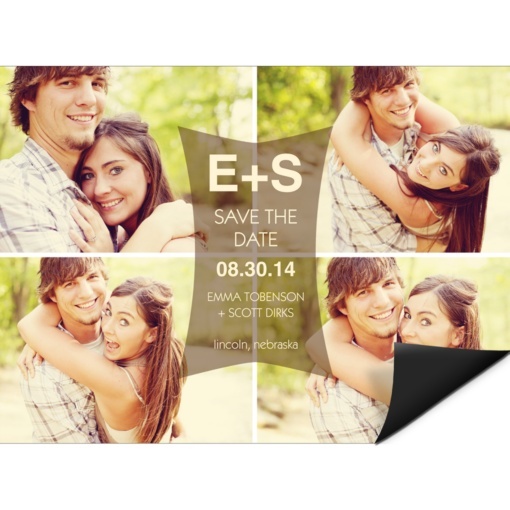 What Are Save the Date Cards? Of all those reasons, getting everyone excited about your wedding is probably the main thing to keep in mind when choosing save the date cards. This event is all about you as a couple, and the more you share about yourselves in your save the dates, the more welcome your friends and relatives will feel at your wedding. Engagement photos are perfect for save the dates. More casual than formal portraits and more fun than no photo at all, they say a lot about what you are like as a couple. 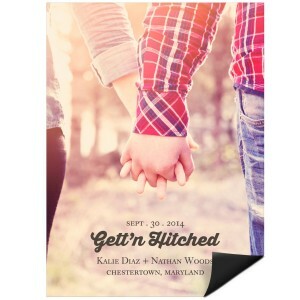 Your save the dates can also give guests a sneak peek of what to expect at your wedding. They can match your wedding colors and style, whether modern, vintage, or traditional. But if you haven’t chosen colors or decided on your wedding details, they don’t have to match your wedding style at all—there are no rules! 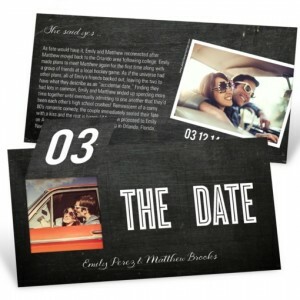 Save the date cards come in different formats, from simple two-sided cards to postcards, magnets, cutouts and multiple folds. It all depends on how much you want to say, how many photos you want to show, and your style! 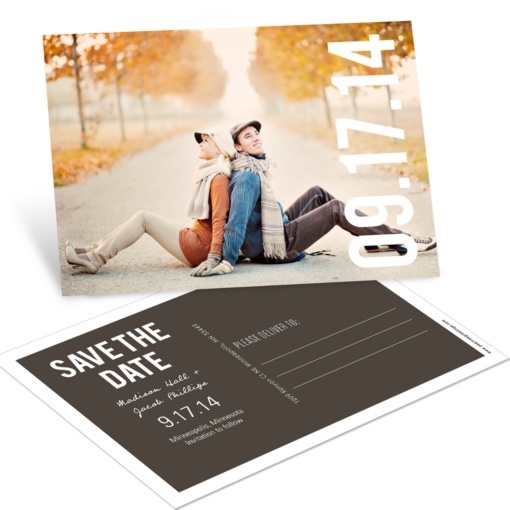 Now that we’ve answered the question, “What are save the date cards?” it’s time to start shopping! 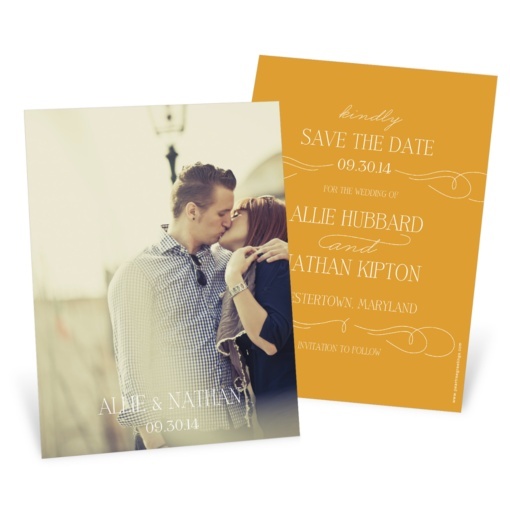 We’re oh-so-proud of our Save the Date Collection, if you’re looking for a place to start. 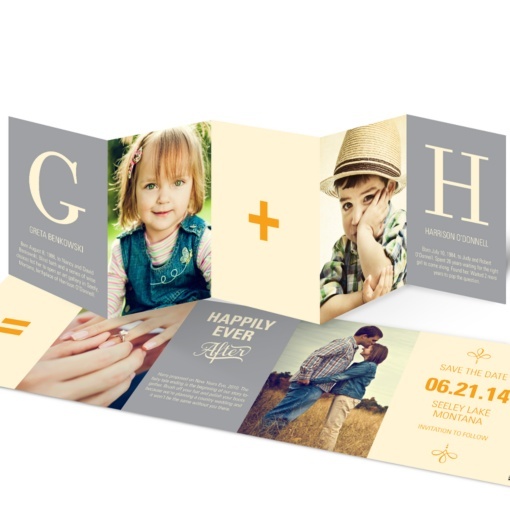 With so many unique, on-trend designs, and the ability to customize the cards to your style and wedding colors, you’re sure to find one that fits your personalities!